In the late 60’s long-haired, beaded, and tie-dyed flower children brought their drugs, incense, guitars and peace symbols to the South Florida surf. 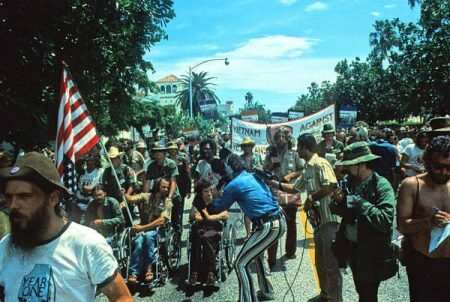 The Hippie movement had finally reached Miami. 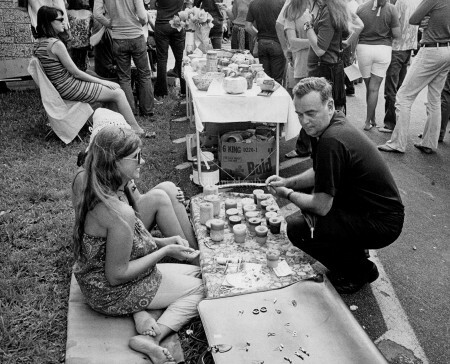 Coconut Grove, known for its laid-back attitude, became the gathering place for the counterculture. On any given day one could find Hippies smoking pot in Bayfront Park, exploring Indian religion at the Yoga Temple on Mary Street or listening to the Lovin’ Spoonful at the Gaslight on Grand Avenue. 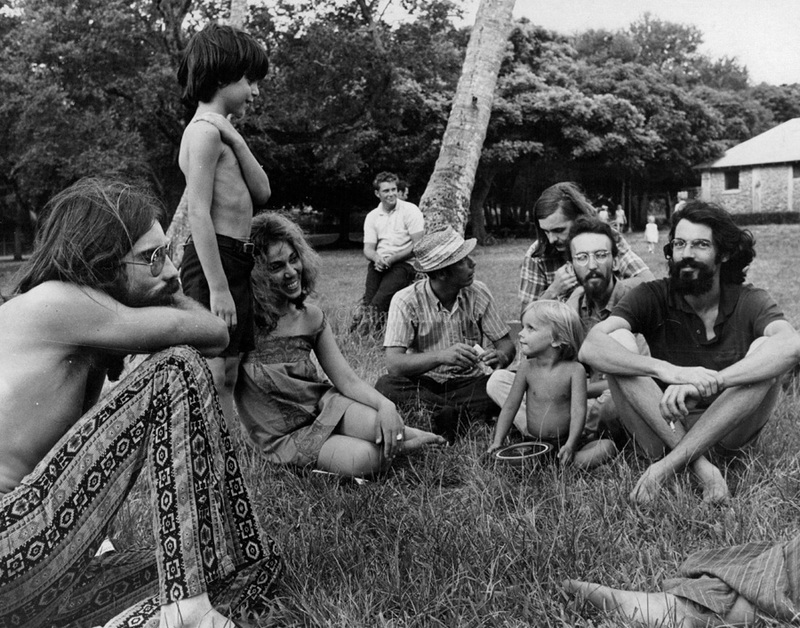 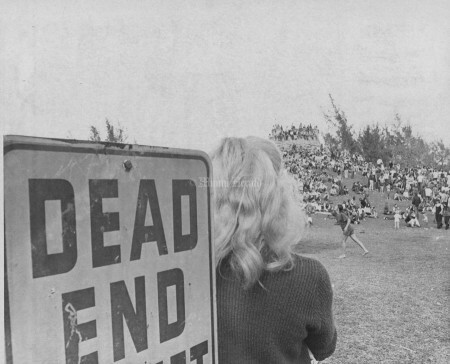 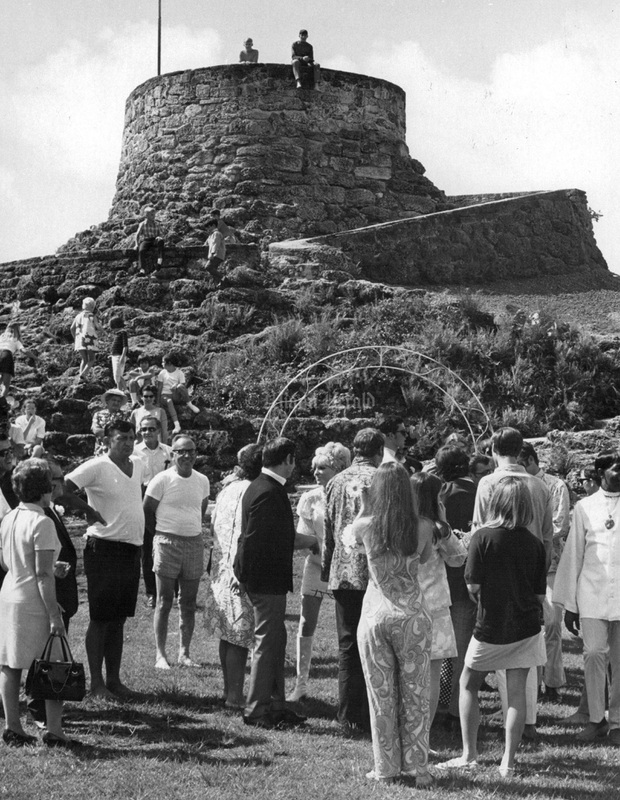 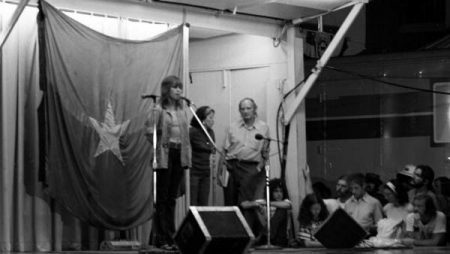 Greynolds Park in North Miami was the site for an Easter “love-in,” where 3,000 converged to protest the war in Vietnam and listen to Grateful Dead. 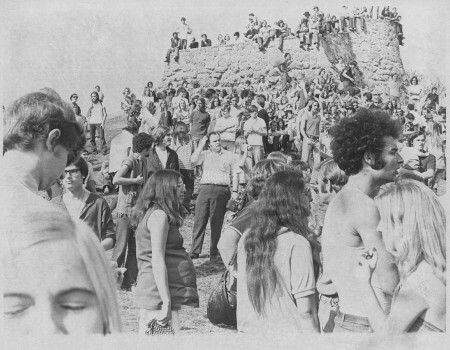 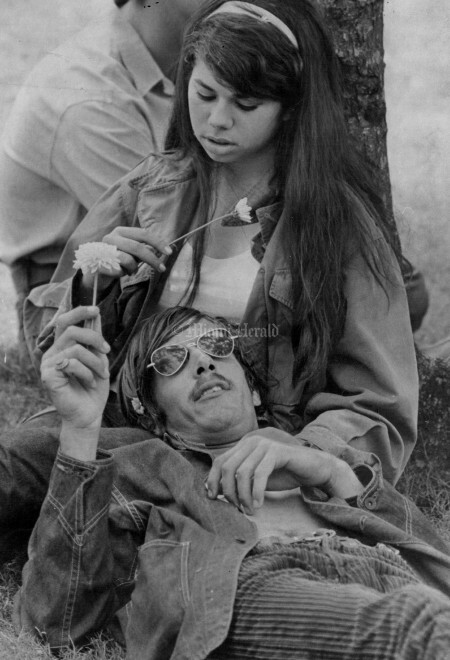 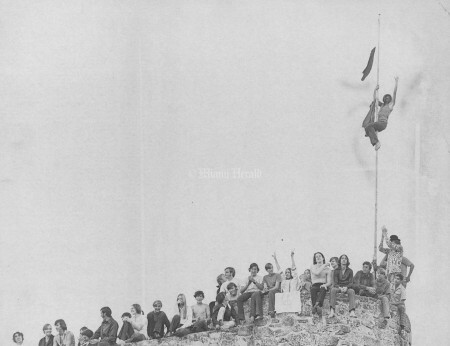 The Miami Pop Festival in 1968 event was touted as the first significant pop festival on the East Coast. 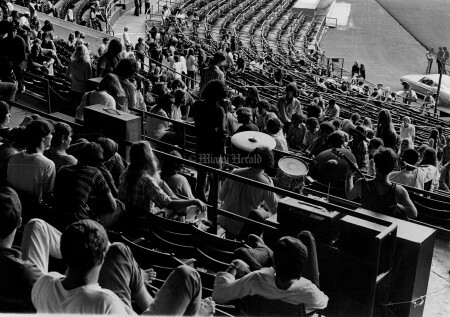 Organized by Michael Lang, of Woodstock fame, the festival drew thousands of fans from all over the country. 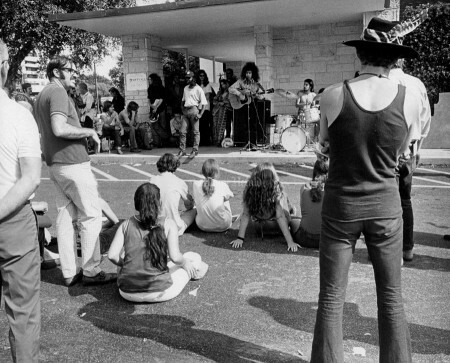 Jimmy Hendrix was the headliner. 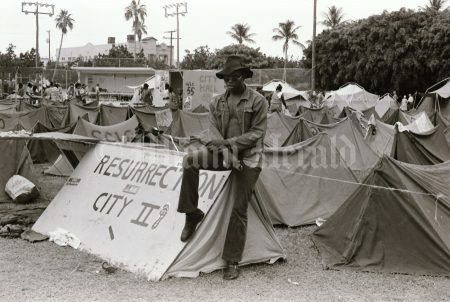 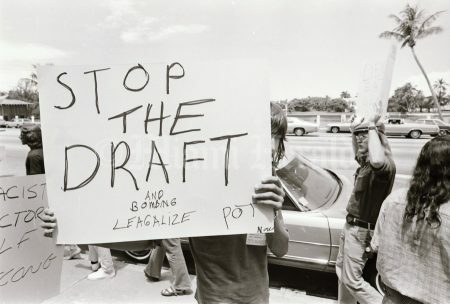 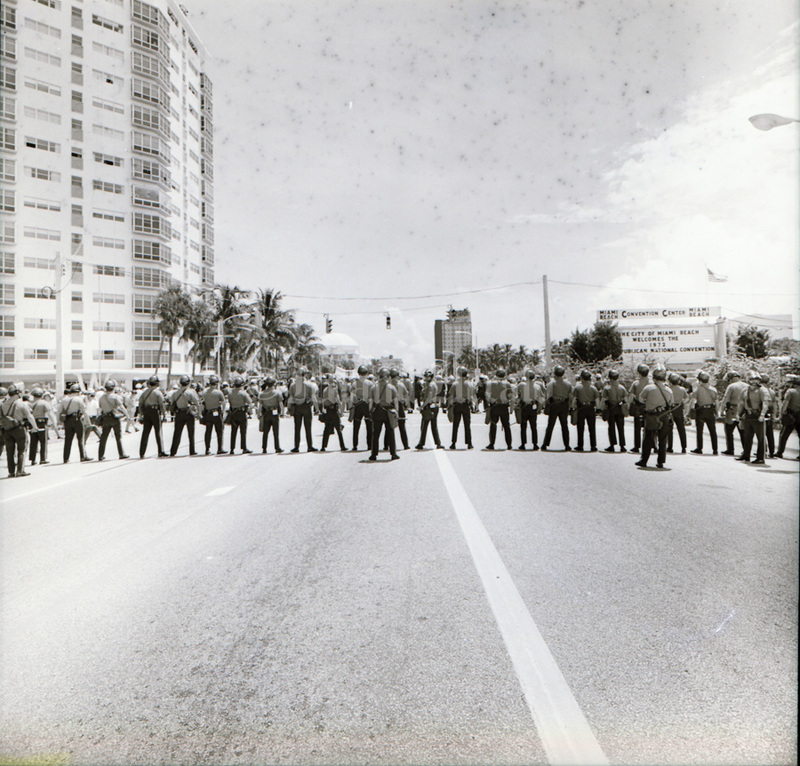 Local police had their hands full during Miami’s Hippie heyday, dealing with complaints about befogged hippies who camped out uninvited in vacant lots, stole fruits from yards, littered parks, made love in public and urinated on trees. 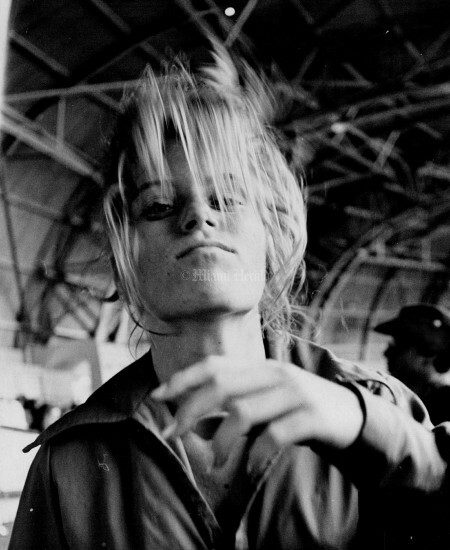 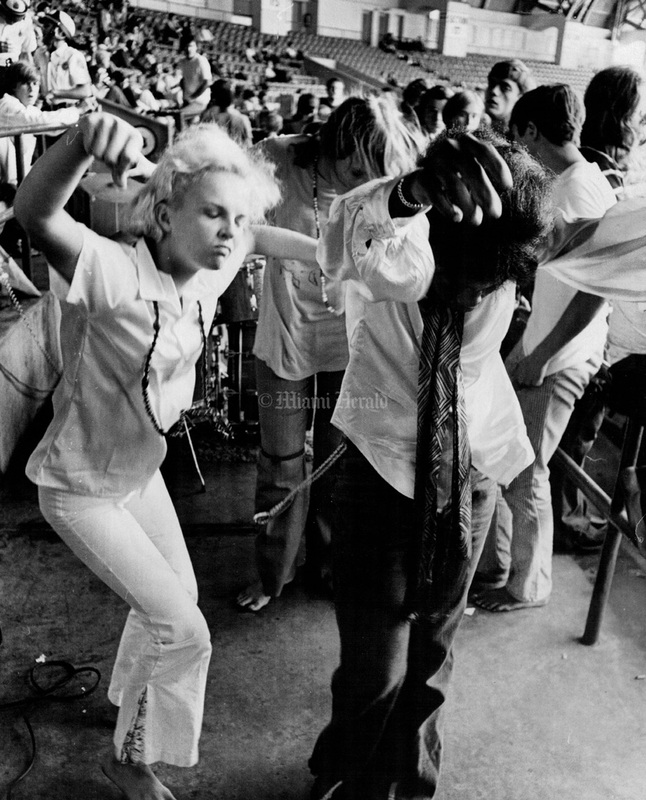 As the Vietnam war wound down so did the counterculture and the trappings of this very special yet brief cultural era have virtually disappeared from Miami. 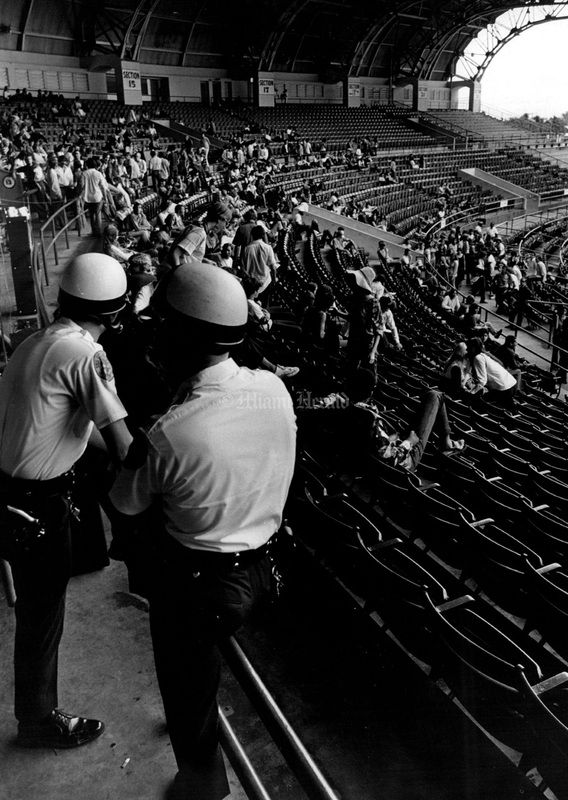 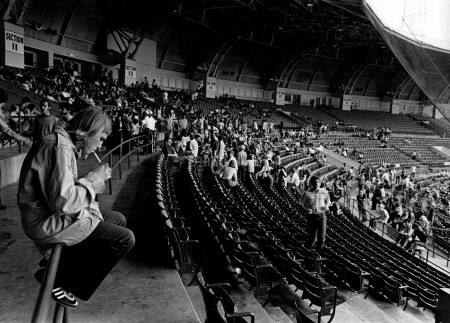 9/14/1969, Albert Coya/Miami Herald: Hippy love-in at the Miami Stadium. 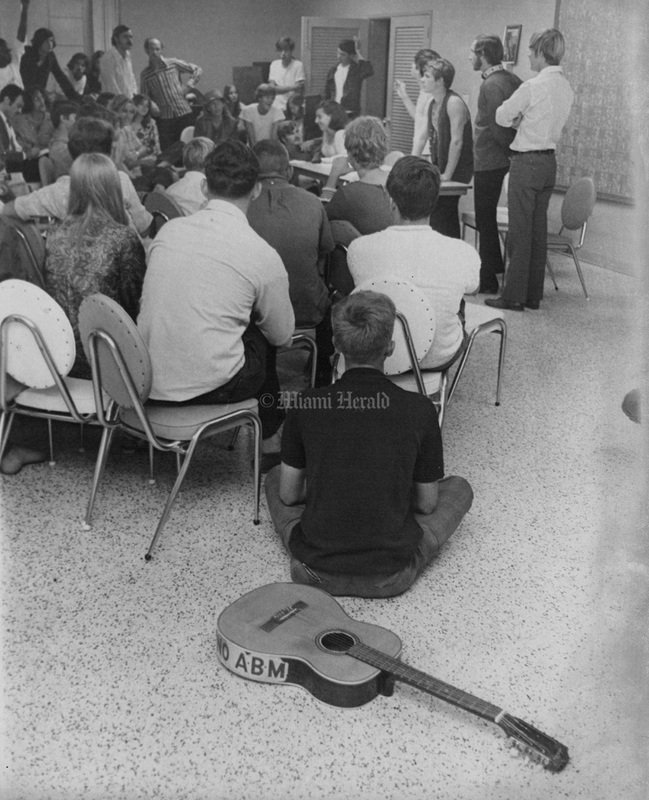 8/1/1969, Bill Sanders/Miami Herald: Hippies meet at St. Stephen's Church. 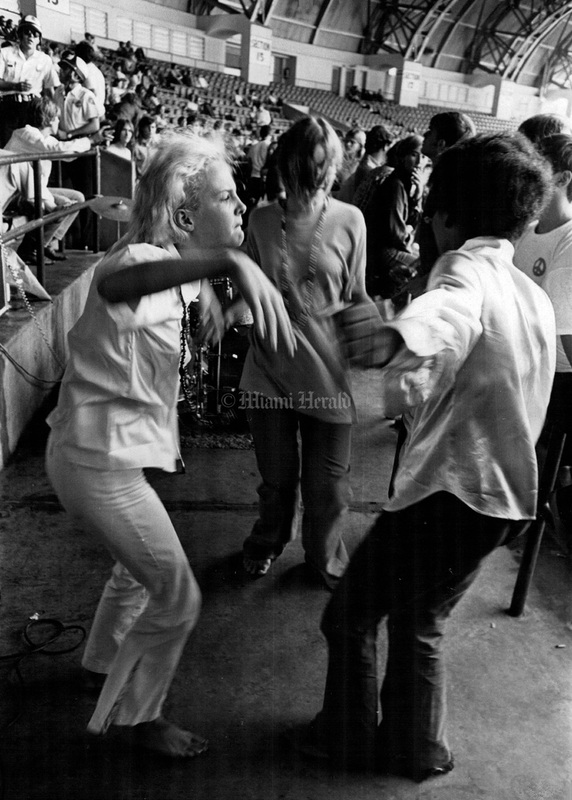 7/24/1967, Dave Didio/Miami Herald: Priscilla Barnes and Millard Word, proprietor of the last word , do an Irish Jig among other hippies. 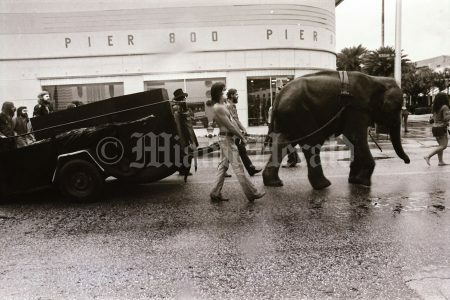 1967, Bill Sanders/Miami Herald: Paint in at Coconut Grove's Bayfront Park. 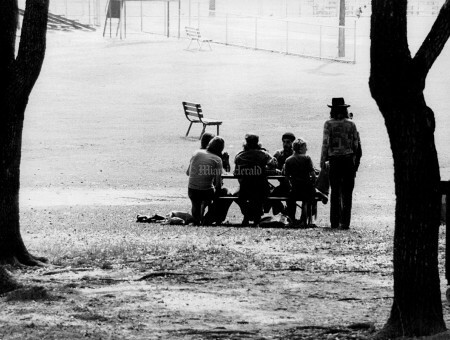 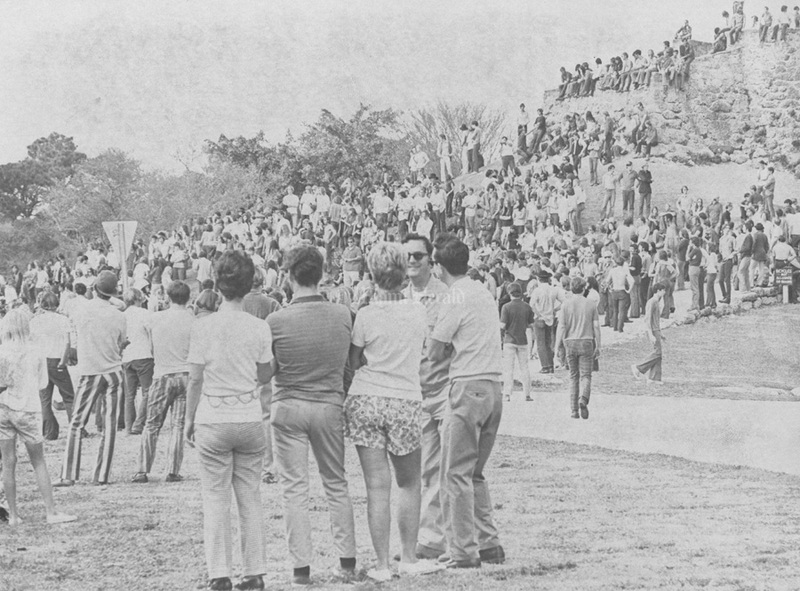 2/8/1970, Dave Didio/Miami Herald: Scene at Greynolds Park. 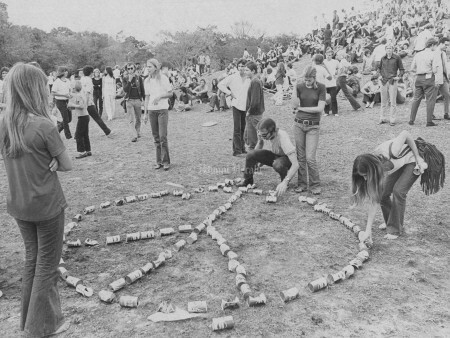 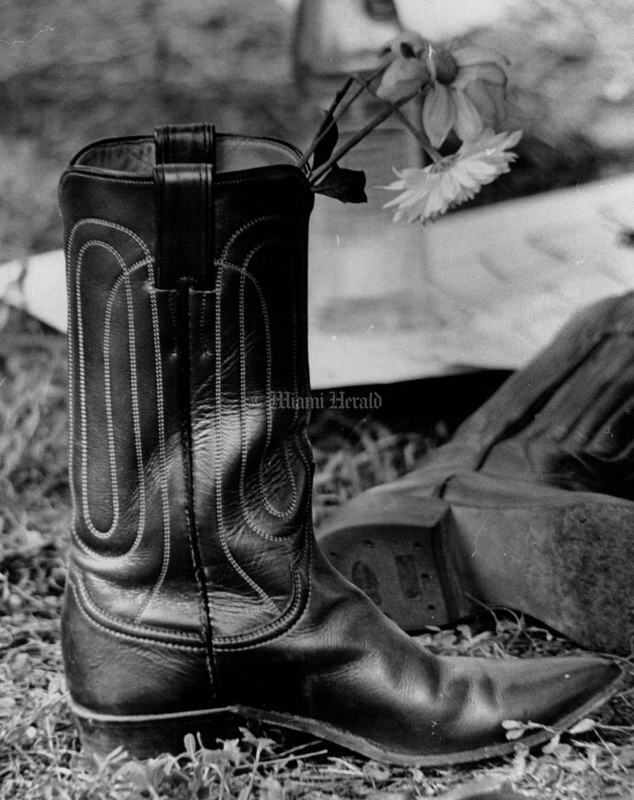 2/8/1970, Dave Didio/Miami Herald: Peace symbol at Greynolds Park. 2/8/1970, Dave Didio/Miami Herald: Action at Greynolds Park. 9/7/1969, Bob East/Miami Herald: Hippies not only parked illegally all over S. Bayshore but knocked down the no parking signs - officer W. J. Fleming writes parking ticket. 10/4/1970, Joe Schuppe/Miami Herald: Father Kingston of St Stephen's views wares sold at hippie gathering. 1/27/1969, Joe Schuppe/Miami Herald: Hippies in Miami. 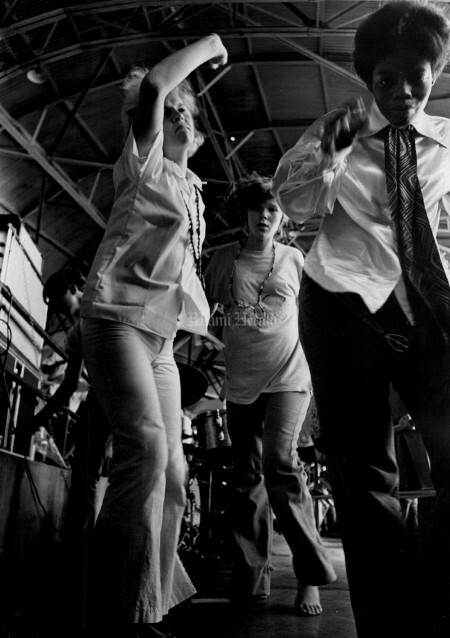 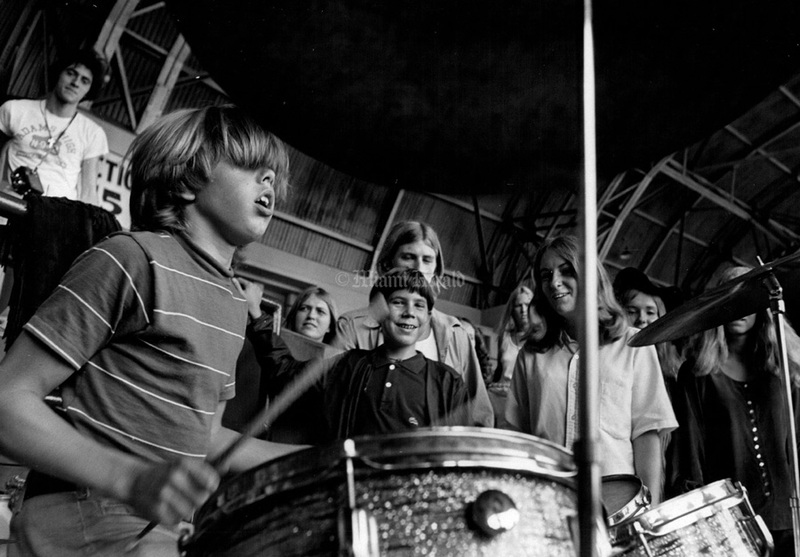 10/4/1970, Joe Schuppe/Miami Herald: Hippies-Florida, gathering at St Stephen's Church in Coconut Grove. 11/22/1967, Bill Sanders/Miami Herald: Anthony Cayce exhibits some of crafts made by hippies to Miami residents. 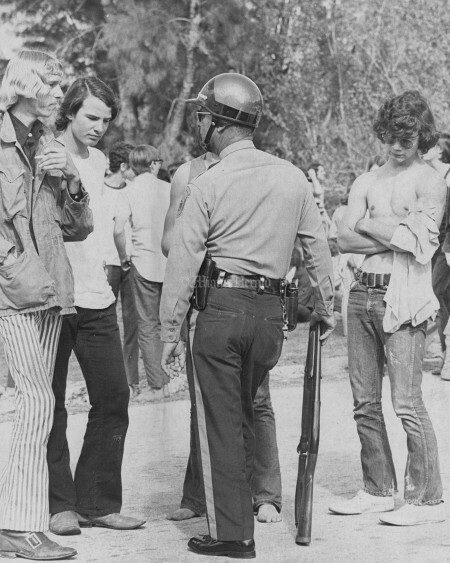 2/8/1978, Joe Rimkus Jr./Miami Herald: Hippies in the grove. Scene of the John Hawley vs Cass wedding in Greynolds Pk. 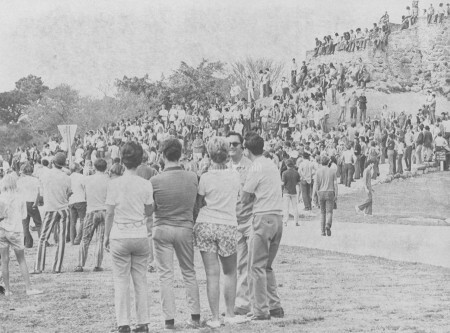 2/8/1970, Dave Didio/MiamiHerald: Action at Greynolds Park. 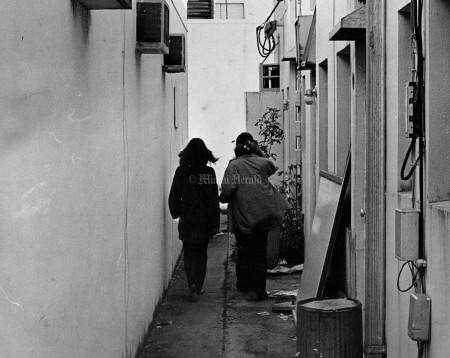 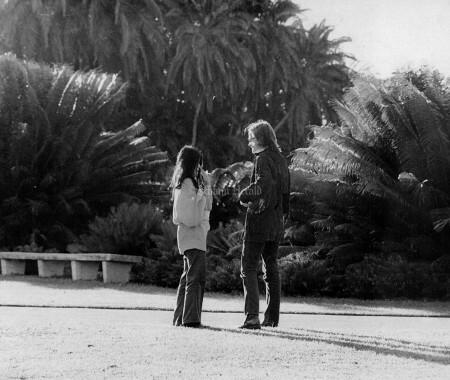 4/4/1969, John Walther/Miami Herald: These two she Hippies made a fast retreat down side alley. 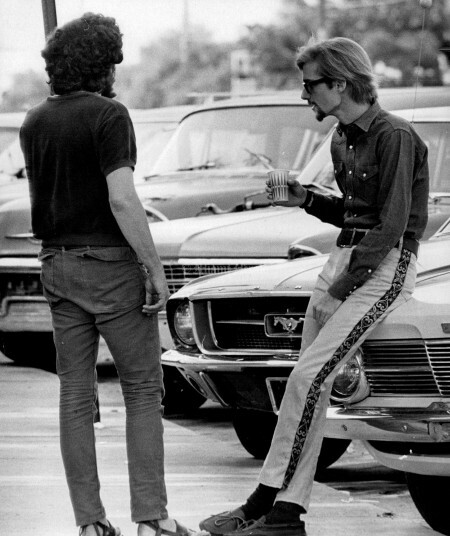 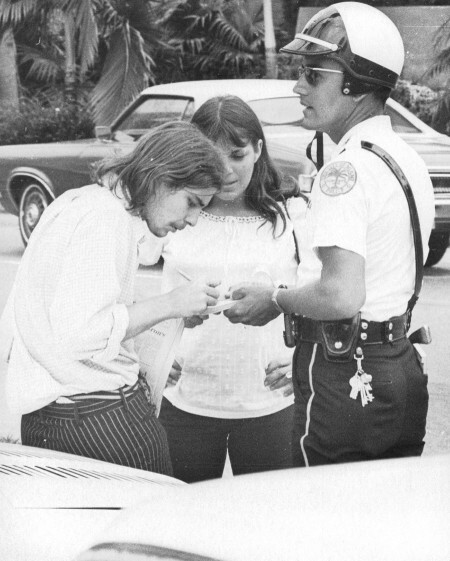 9/7/1969, Bob East/Miami Herald: Hippie signs parking ticket for cop on S. Bayshore near Mc Farlane. 7/20/1969, Bob East/Miami Herald: Freethinkers discuss moon landing in Coconut Grove. 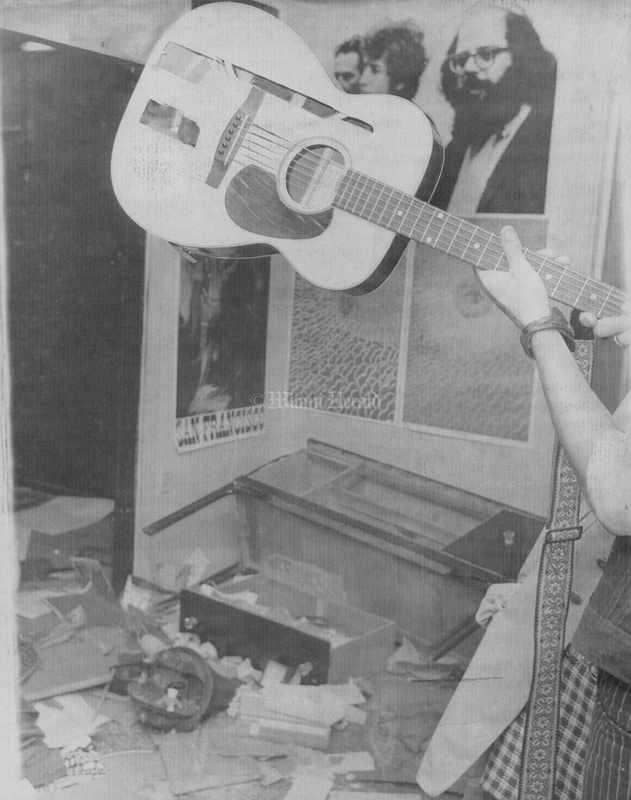 4/19/1968, John Pineda/Miami Herald: Hippy headshop micropyle after raid. 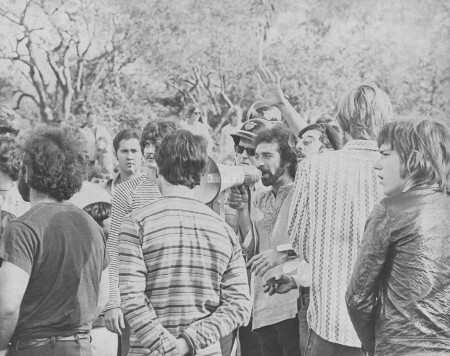 2/8/1970, Dave Didio/Miami Herald: Larry Brooks, with megaphone, talks to crowd at Greynolds Park. 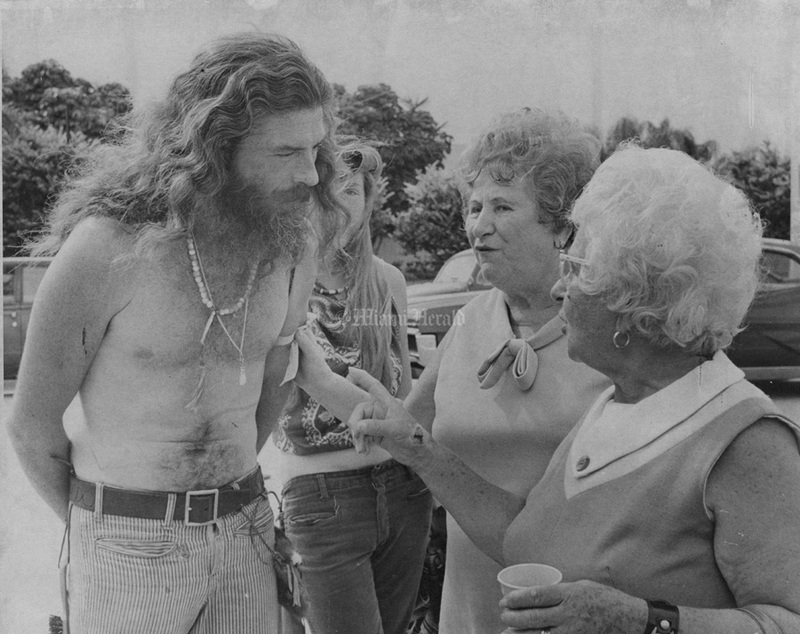 4/17/1970, Betty J. Mayer: Hippies in Miami. 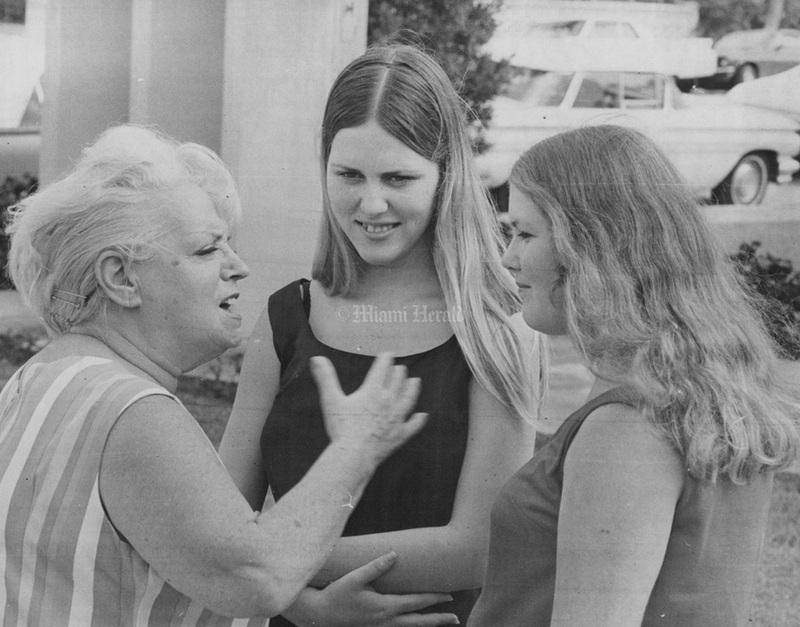 9/28/1969, Bob East/Miami Herald: Donn "My Daddy's Boy" chats with Mrs. Molly Richman and Mrs. Cecil Feld. 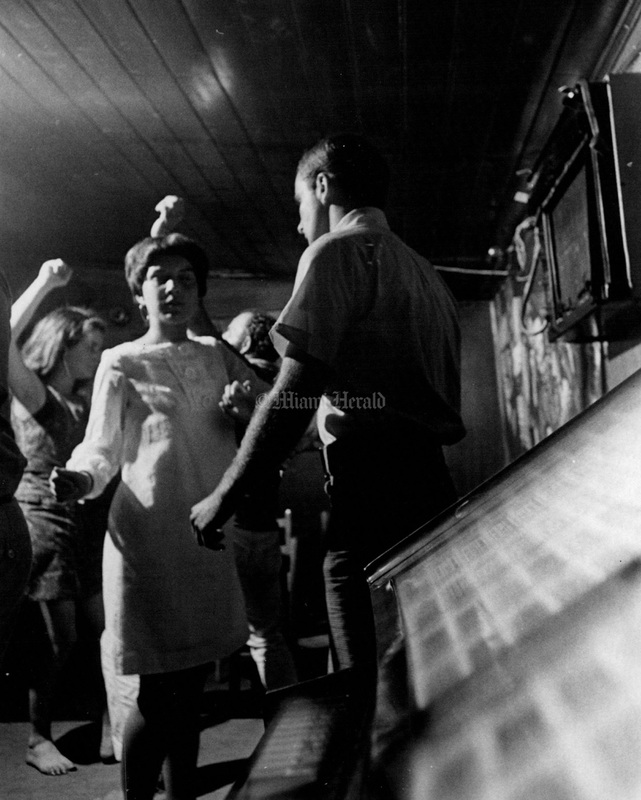 8/10/1967, Bill Sanders/Miami Herald: Tony Ruiz and Diane Shull. 6/18/1967, Jim Birmingham/Miami Herald: Hippies. 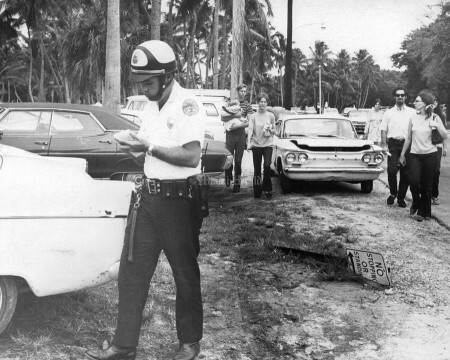 8/13/1967, Bill Sanders/Miami Herald: Just Kick off your shoes and join the Love In at Crandon Park. 9/28/1969, Bob East/Miami Herald: Mrs. Sylvia Barb tells Chris Lynn Russon and Cheri Pierce what it was like when she was a girl at Miami Beach love-in. 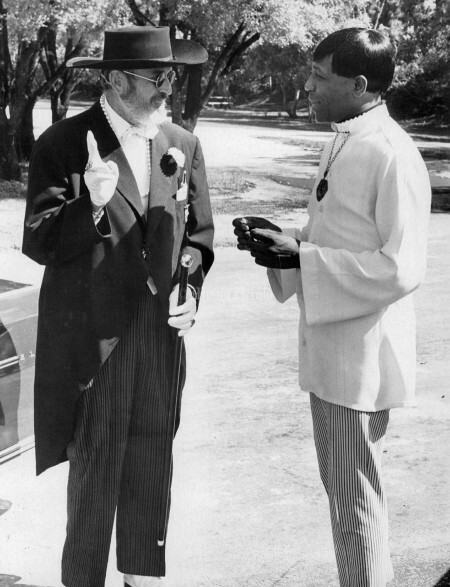 5/12/1968, John Walther/Miami Herald: Brother Vincent and Wally Futch decked out in their best "peace-love and Happiness". 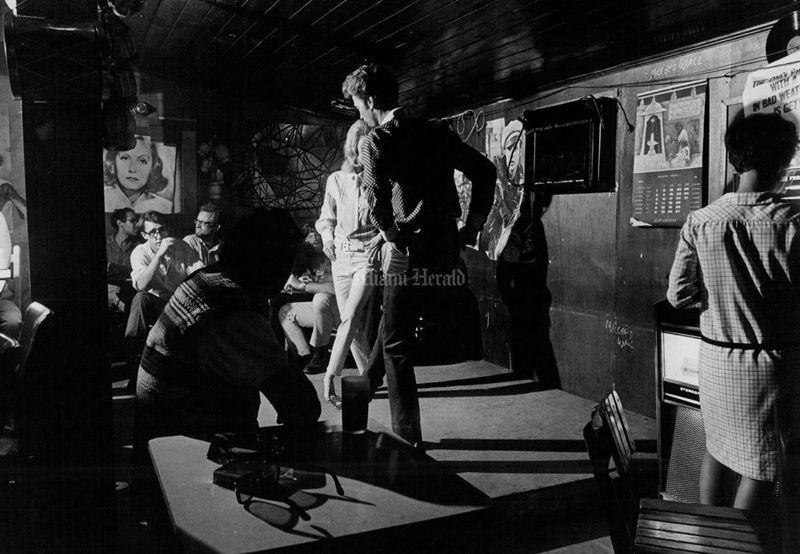 8/10/1967, Bill Sanders/Miami Herald: Bob Gable and Debbie Herndon from Hollywood at the Coconut Grove Love In. 9/14/1969, Albert Coya/Miami Herald: Hippies Love-In. 10/22/1976, Battle Vaughan/Miami Herald: Hippie types gathered for free kitchen Bayfront Park, Grove. 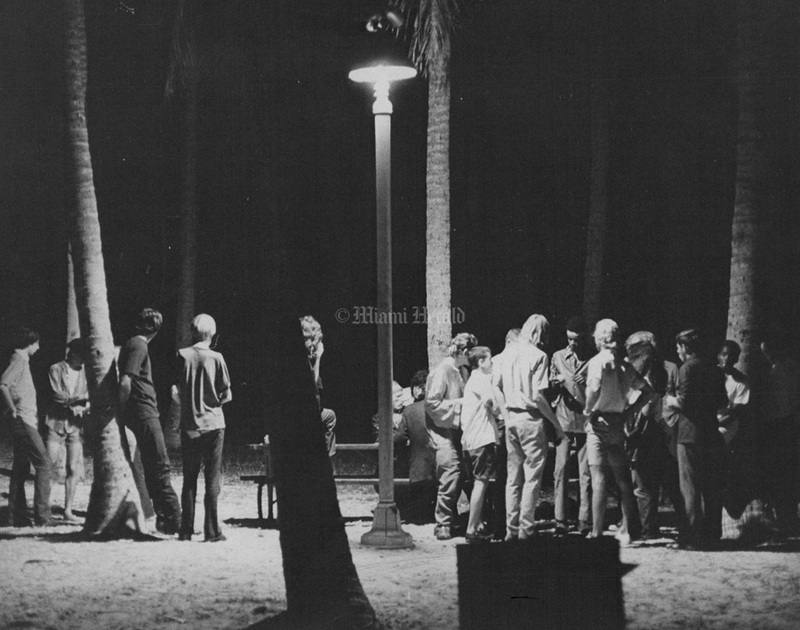 6/18/1967, Jim Birmingham/Miami Herald: Hippies in Miami. 9/14/1969, Albert Coya/Miami Herald: Hippies Love In. 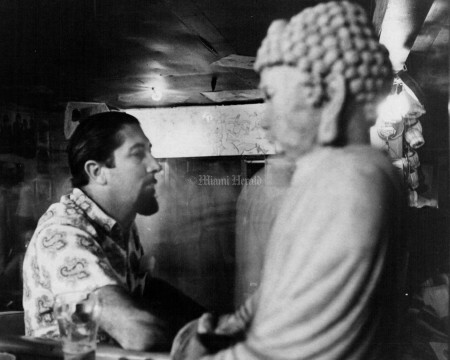 7/24/1967, Dave Didio/Miami Herald: Jerry Wysong is an artist who hangs out at Last Word. 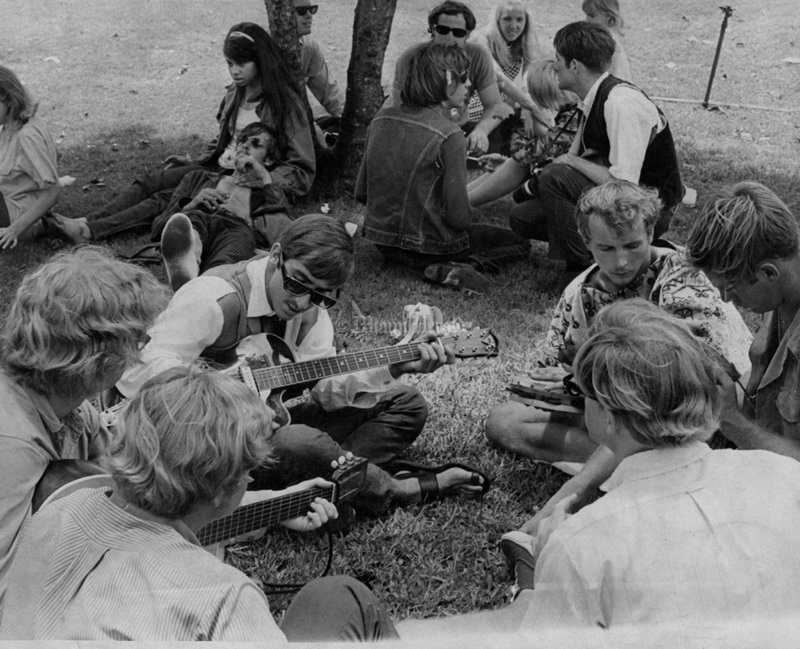 7/24/1967, Dave Didio/Miami Herald: Hippies. 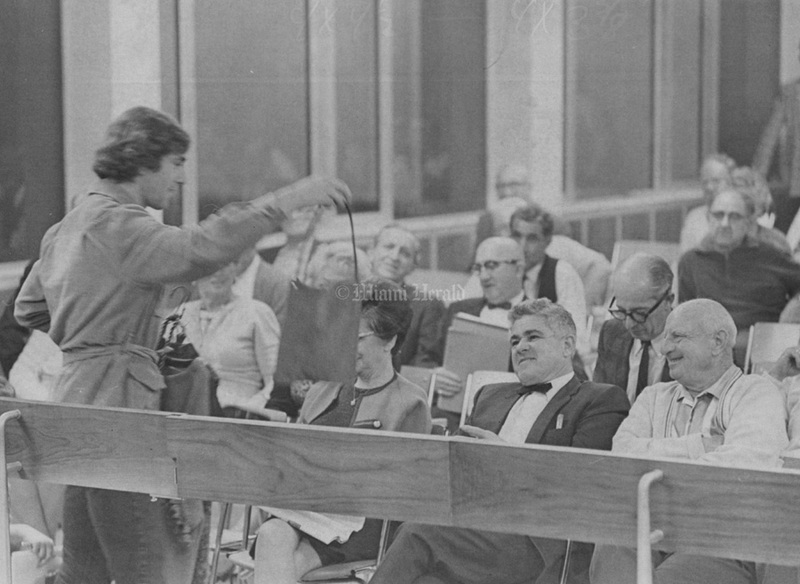 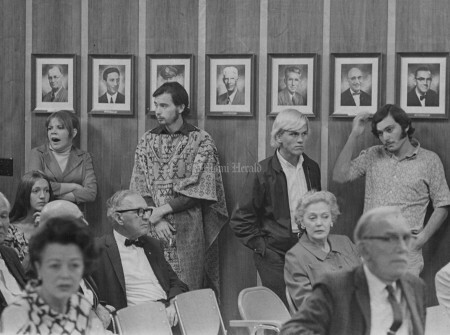 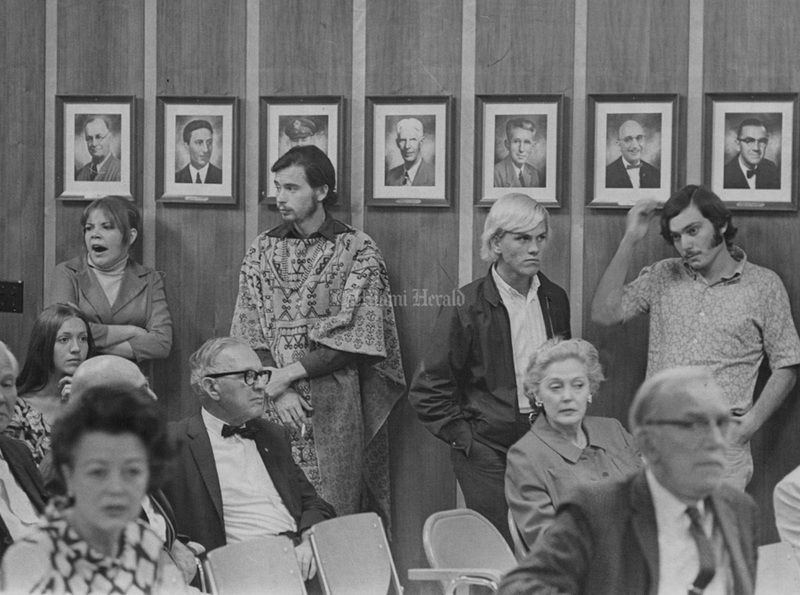 11/22/1967, Bill Sanders/Miami Herald: Hippies in waiting at commision meeting. 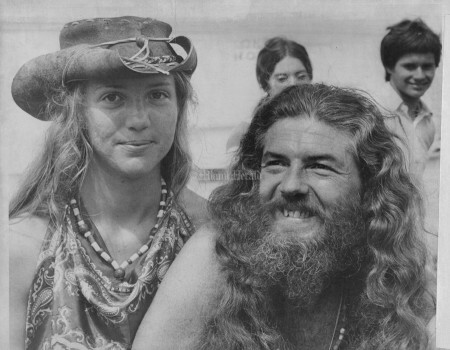 World traveling deluxe hippie says his name is Donn, My Daddy's Boy (being a son of the Heavenly Father) and Lynn Kelsey (left). Undercover Miami narcotics cop on the scene says Donn is under 18 to 20 years sentences given by Federal judges right now.